LeVaughn + Associates Architects is a full service architectural and Interiors practice specializing in Traditional Architecture inspired design solutions. Founded in 2008, moss is a full service architecture and urban design studio. Our work is diverse by design and allows us to explore the best solutions for varied projects including residential, commercial, mixed-use, hospitality, urban planning, and custom furniture. We provide a complete package of services to assist our clients through the entire architectural process. From site selection and design to permitting and construction. Our approach is both collaborative and customized. We seek collaboration with owners and developers who are looking for more than a set of drawings, but true partners in a comprehensive process. We explore work that stretches the boundaries of what an architect typically does; tapping the experience we've gained over time generating innovative and transformative solutions. 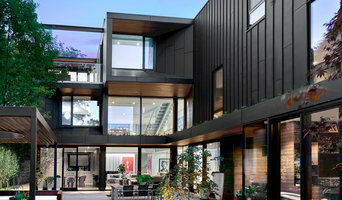 We believe successful design provides a solid connectivity with nature while responding to client needs, desires, and their vision of a comfortable livable, and functional environment. We create beautiful, sustainable, affordable architecture that meets the demands of the program and client, and make a positive contribution to the world we share. Besch Design Ltd. works very closely with each and every client in order to assure that the desires and dreams of the clients are met. We do not prescribe to any one style or belief but rather we treat each project as a new beginning that is specific to that client’s vision as well as the environment in which it is developed. Whether it is a 100 unit mixed use building, a small home addition or interior renovation, each of these projects are started with a blank canvas. Our office atmosphere is set up in a very collaborative way so that everyone involved on a project can interject there ideas and thoughts as they apply to the specific project. From the overall concept in the beginning of the project, to the finite details that are developed for the construction documents, we are all part of the team. Our projects are known for their design integrity and their functional value. We are consistently evaluating, and redefining our approach in an effort to keep pace with the ever changing world of design. Besch Design, Ltd. has completed a variety of projects, ranging in scope from interior renovations to multi-unit mixed use developments. Besch Design, Ltd. has projects throughout the Chicago land area in Illinois, as well as in the states of Florida, Wisconsin, Indiana, Iowa, California, as well as Belize, Central America. roomTEN is a full service interior design and architecture firm, specializing in creating compelling, creative and practical design for informed clients that care deeply about the space they live and work in. We believe that the places around us inform our relationships with the world, and as such, should be crafted with care, thoughtfulness and integrity. We are founded on a principal of design exploration - your vision drives our results. We value skill, and work closely with our craftsmen and fabricators to bring ideas to life. Your joy in the result is our goal. roomTEN design has been creating memorable homes in the Chicagoland area, nationwide and beyond since 2008. With experience on all scales and all budgets, we are able to bring your dream to life. Our projects range from new museums to historical renovations; corporate, residential and interior architecture; objects, textiles, and furniture. From initial space planning to final art installation, we engage every step of creating your space. Hackley & Associates Architects, Inc. STUDIO Villanueva Architecture, LLC is inspired by the belief that good residential design is a reflection of the clients’ personal style and characteristics of the building/space. Each opportunity is unique and requires a process that includes an in-depth understanding of client needs & style, the exploration of possibilities, and the careful crafting of a creative vision. 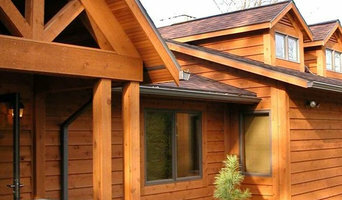 Allen is a licensed architect with over 28 years of experience. In 2003 Mr. Villanueva opened his own architectural firm, STUDIO Villanueva Architecture LLC. He has spent over 18 years designing and managing modest to high-end residential projects ranging in size from 2,000 to 9,500 square feet. Our portfolio of work showcases a diversity of style and scale. Projects include single family homes, high-rise custom apartments, additions and renovations. The selection of unique, quality finish materials is a signature aspect of our work. Custom designing residences allowed us to expand our capabilities to include custom furniture, fireplaces and other built-in furniture finishes. STUDIO Villanueva can also provide the finishing touches of a custom home which include furniture and fabric selection. 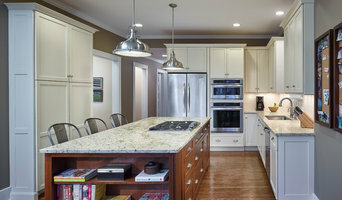 Design Insight Inc.(DII) is a design/build architecture firm specializing in custom residential and commercial architecture, plus high-end remodels/renovations. We aim to creatively solve functional needs, while instilling graceful solutions for any project; small to large. DII strives for a honed, mature & warm modern feel in the execution of our work. We pride ourselves on high customer care & personal relationships, and try to let the work speak for itself. Usually, a sense of highly crafted work is the result of a smaller scale materials & furniture background. Given the luxury of time, we relish the opportunity to experiment w/ as many design ideas as possible; ultimately to reach the best solution. This is our passion! As an architecturally licensed and fully insured company, DII adheres to the highest level of quality standards while working within each project’s budget. We believe that anything is possible and welcome and foster any/all custom challenges. Whenever possible, we also try to incorporate green materials & infuse environmentally conscious design concepts. DII believes that after rigorous due diligence via our design & build phases, the final product will be inventive, highly functional, & will hopefully inspire. Bio: Smith obtained his master's degree in architecture from the University of Illinois at Champaign, IL. During his tenure, he won many accolades, receipt of two fellowships, & the opportunity to live abroad in France for a year. Prior to founding Design Insight Inc. in 2002, Jereme worked for a variety of prominent firms. Most notably, Kenyon & Associates Architects, Techline Inc, & Osterhaus McCarthy Architects. He's won many awards including the Chicago 'Key to the Future' housing competition & the New York Humanscale office design competition. Jereme has been published in various publications like the Sun Times, Chicago Home magazine, & I4 Design. His work has been displayed at the W Hotel through the IDSA, at the Art Museum of Virginia for the C2C eco-home exhibit, & I-space Gallery in Chicago. Smith has his architectural license, as well as architect/engineer and design/builder insurance. DII is also a member of the Association of Licensed Architects(ALA). На этой странице мы собрали для вас лучших проверенных архитекторов и архитектурные бюро в городе Chicago, IL, которые помогут вам создать проект дома вашей мечты. Вы можете посмотреть портфолио архитектурных проектов, список предоставляемых услуг по архитектурному проектированию, почитать отзывы реальных клиентов и выбрать специалиста по душе. Часто мы пытаемся найти кого-то через знакомых, но этот вариант не всегда является гарантией успеха. Если вашему другу нравятся дома в современном стиле, а вам, например, в стиле шале, процесс работы с архитектором может существенно отличаться. Поэтому лучше искать специалиста на Houzz, где есть большой выбор архитекторов в городе Chicago, IL с портфолио и отзывами. Перечень предоставляемых услуг и состав проекта. Необходимо заранее определиться, нужен ли вам дизайн интерьера дома, или вы хотите только архитектурный проект, включены ли услуги авторского надзора, подбора материалов. У многих архитектурных бюро в городе Chicago, IL есть свои дизайнеры и строительные бригады. Попросите пример выполненного проекта, рассмотрите его наполненность. Если вы уже знаете, кто будет строить Ваш дом, покажите такой пример прорабу, пусть он скажет, достаточно ли в нем информации.